VMFA-115 conducting CQ on Nimitz (CVN 68) off Virginia. 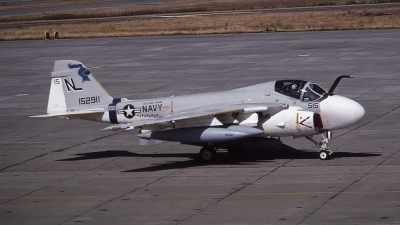 The squadron deployed in Forrestal (CV 59) with CVW-17 in March 1981. 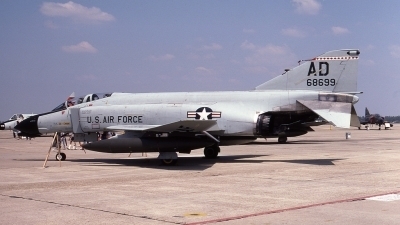 Later converted to F-4S. 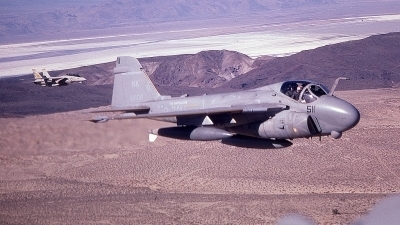 Covering a low-level air wing strike into the China Lake range; jammers on, watching for threats, oh yeah- try to shoot a picture of the VA-196 and VF-21 aircraft running down the valley with us. 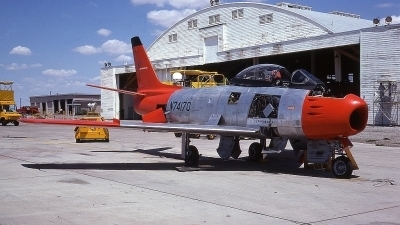 FSI QF-86E drone participating in SAM-D (Patriot) program. 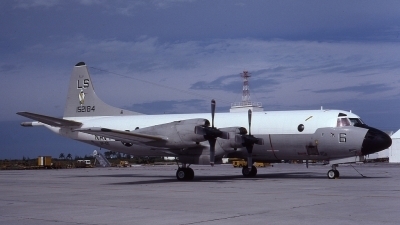 Former RCAF 23320; shot down 29 Aug 80 by DIVADS (Sgt York). 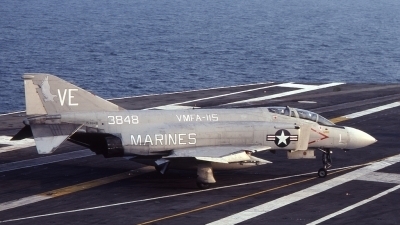 VMFA-115 F-4J conducting CQ in Nimitz (CVN 68) off Virginia Capes prior to 1981 deployment with CVW-17 in Forrestal (CV 59). 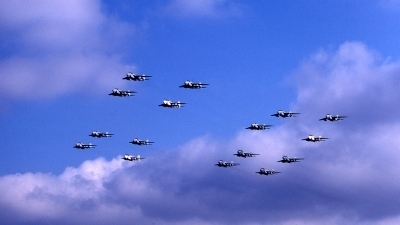 VAQ-35 Grey Wolves in flight over central Washington. 158033 (GD-300), 158801 (GD 302), 158815 (GD-301). 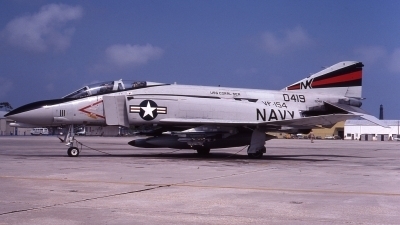 The squadron was disestablished three months later. 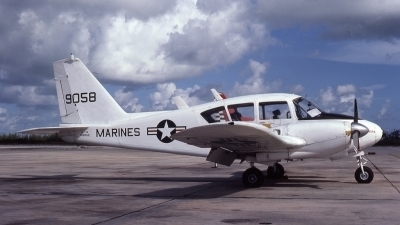 Piper Aztec operated by SOES Cherry Point. One of 20 in the Navy/Marine inventory. 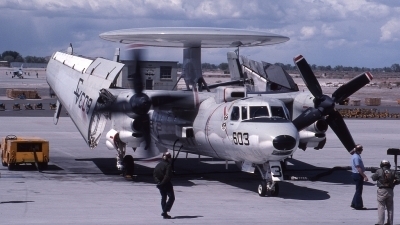 VAQ-33's Connie- nobody in the squadron called it a "Warning Star". 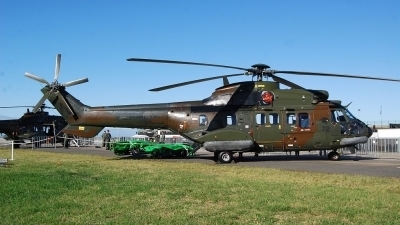 The last of its type to operate in the U.S. military. CVW-9's two Whidbey-based squadrons return home at the end of a six-month deployment in Nimitz (CVN 68). 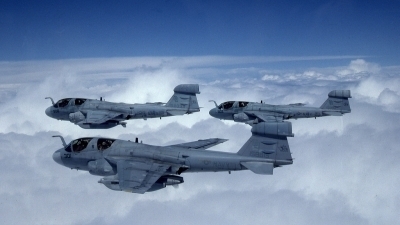 Nine A-6Es and three KA-6Ds from VA-165 are trailed by VAQ-138's quartet of Prowlers. 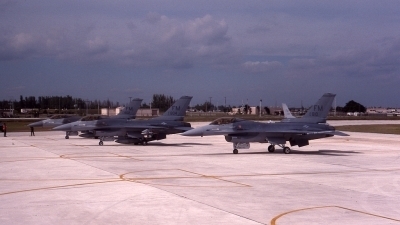 A flight of Air Force Reserve F-16s from the 93rd TFS taxi into the "Last Chance" spot at Homestead AFB FL. 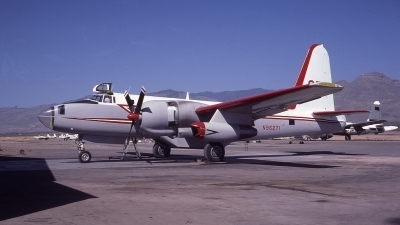 Black Hills Aviation aerial tanker. 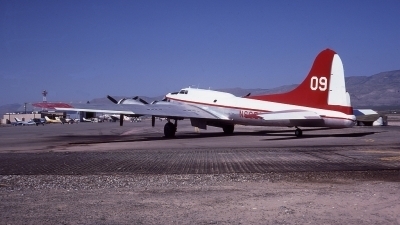 BuNo 131434. 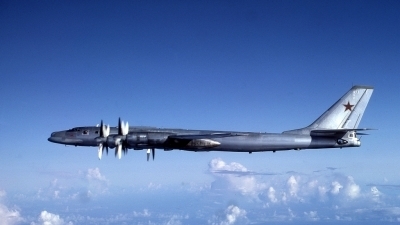 Soviet Bear-B in the "Bear Box" off Guam. 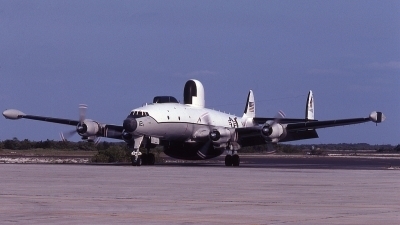 US Navy aircrew had a lot of respect for their Soviet counterparts who flew these magnificant aircraft out from Siberia. 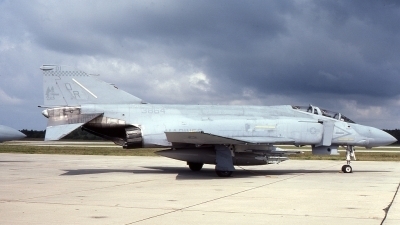 A VMFA-312 F-4S shows the extremes of low visability Tactical Paint Scheme (TPS) during the early 1980s. 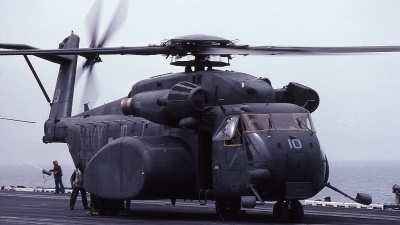 HM-15 conducted anti-mine missions as well as Vertrep uring Desert Storm. 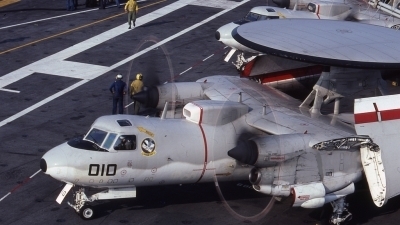 This aircraft is shown on Theodore Roosevelt (CVN 71). 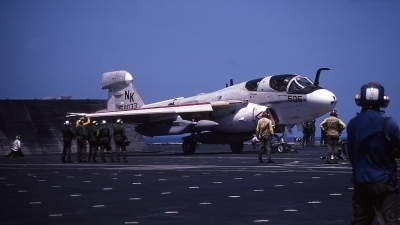 A VAQ-139 EA-6B prepares to launch from Connie's Cat 3 during the squadron's first deployment. 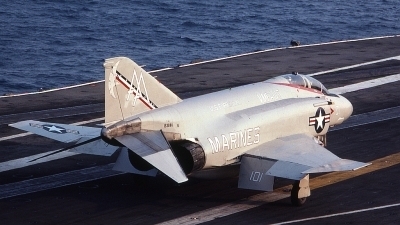 NK606 was the only squadron aircrat not in Tactical Paint Scheme during that cruise. 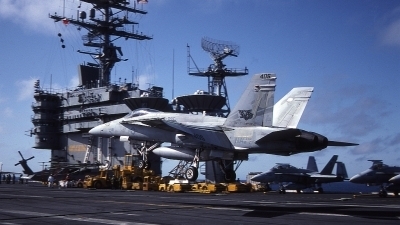 VFA-305 Hornet does a touch-and-go on Carl Vinson (CVN 70) in May 1993. 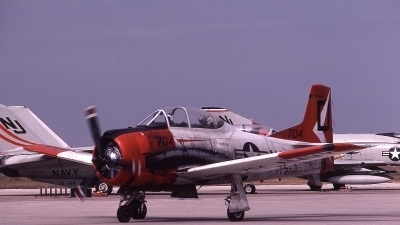 The squadron was disestablished in December 1994. The airframe was stricken in 2001.